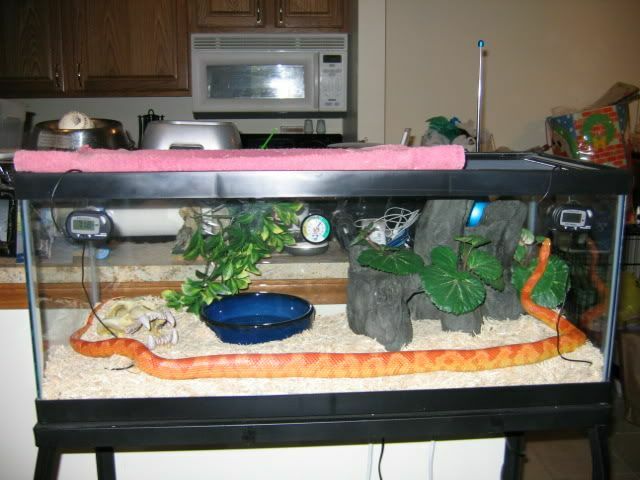 Thread: Lucy the cornsnake - 5 feet now!! Lucy's hatch date was in June, but it was early October when we first picked her out and brought her home. Lucy's just over 5 feet now, and still as sweet as can be. 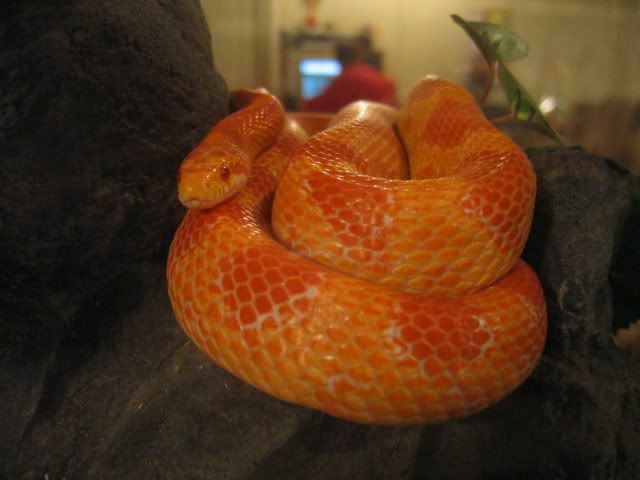 Wow.. Lucy sure is a pretty shade of oranges. Thanks. 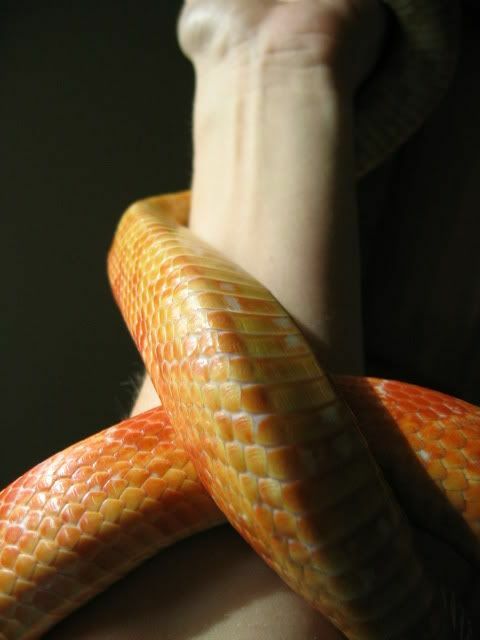 I wish she had retained more of the red she had as a hatchling, but the orange grows on me. 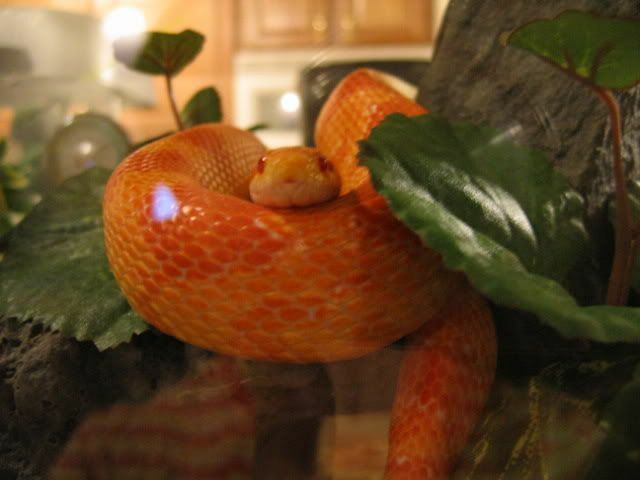 I'd love to do a fall photoshoot with her, but she blends in with everything! 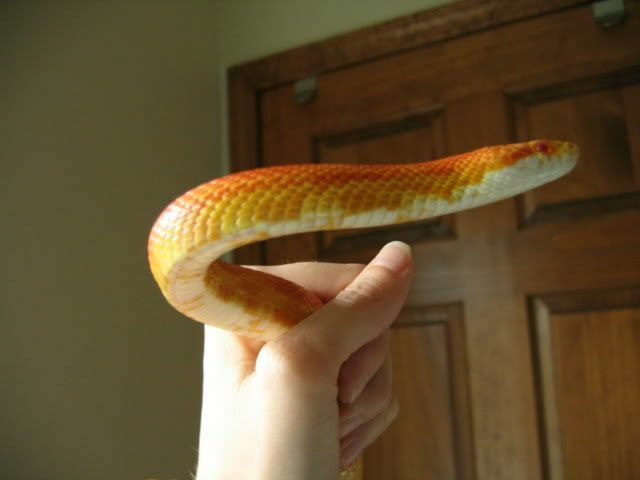 ooohhhhh...she's a very pretty snake I like her colors. I could never own one myself, but if I ever did I'd like one like her. What a beautiful girl. 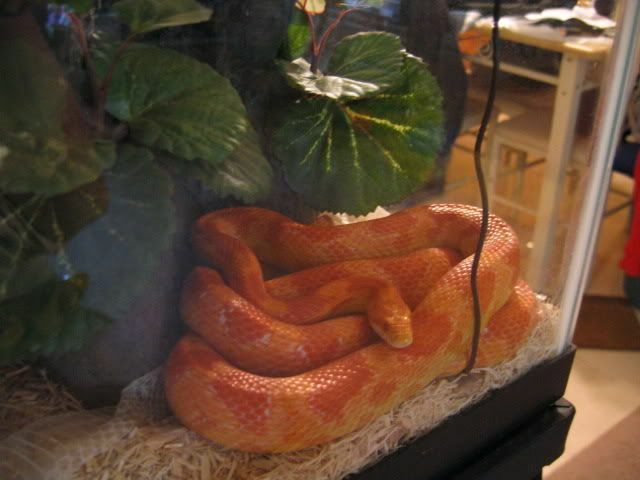 My ex has a pretty cornsnake, she's black and grey, cream. 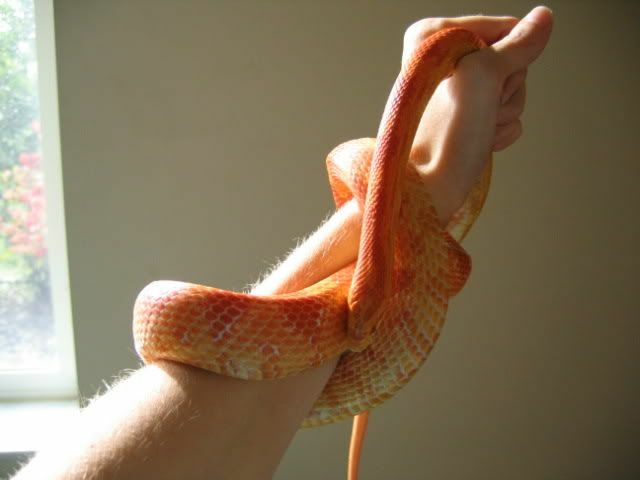 She broke me of my intense fear of snakes, too. 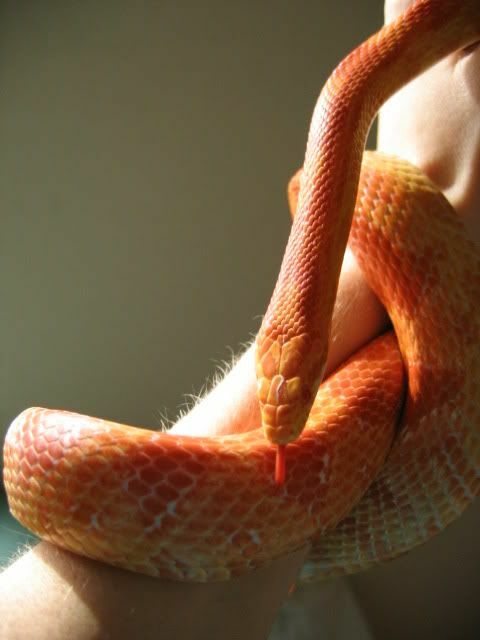 Corns are so docile and great snakes to have as pets. Thanks for sharing pics. She is such a pretty girl! Good to see you, Lucy! Keep growing strong and long! 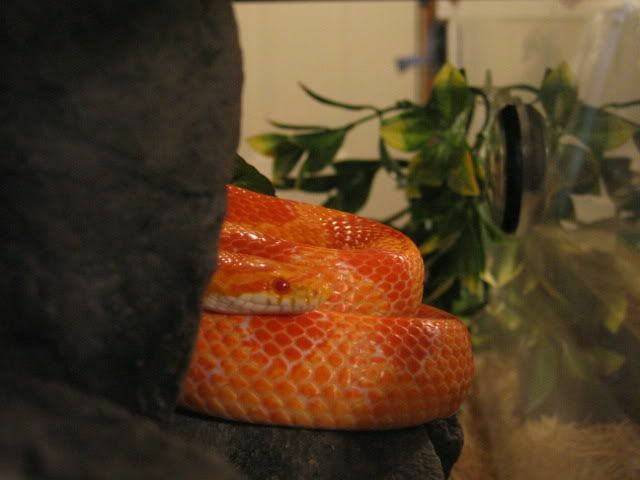 Kim, how long do cornsnakes typically end up? Was: 5 inches; NOW: 5 FEET? Uhhhhh ... when will she stop growing? Time helps the sadness subside, but the memories remain forever. I love her!!! She is absolutely gorgeous! 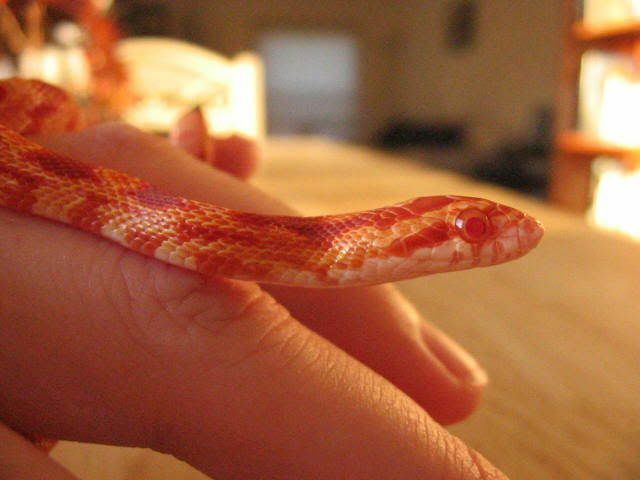 I just got my first snake after being snakeless for about ten years (not counting our rattlesnake, as he's not your typical snake) and I just love him. 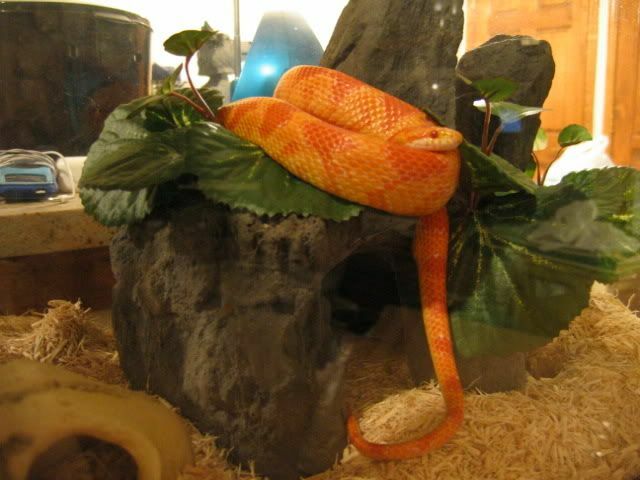 I would love to have a corn snake one day as well. 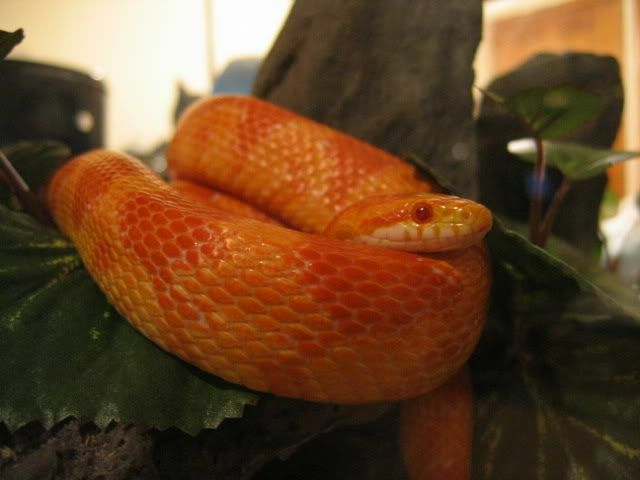 They are very striking little snakes. Their colors are just so bright. I think she's more like just a little bit over 4 feet, not 5 feet. You're getting ahead of yourself. She still has room to grow. Friend to Kia, Chipper, Zam, Logan, Raptor, Nimrod, Harley, Baby Crested, Mei, Esme, Jasper and Lucy Inara, along with the hermit crabs. How long is her glass home? Where do I put my feet??? ?